Starting a new job is exciting but scary. You’re thrilled that you got the job, but you’re nervous about making a change. What will the office environment be like? Will you get along with your coworkers? 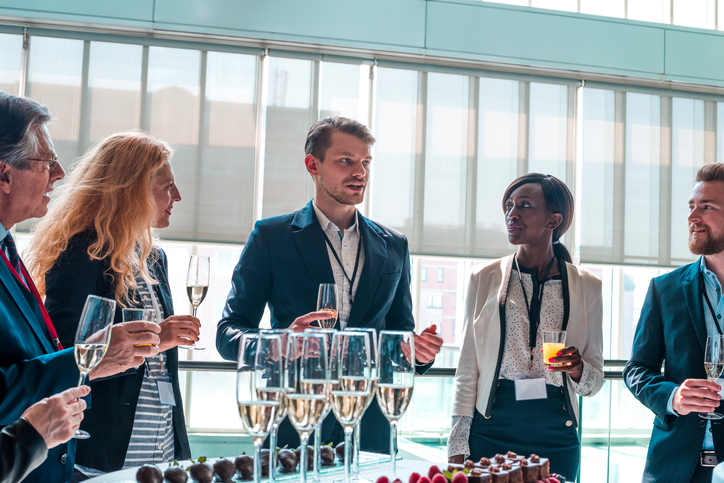 Like being the new kid at school, you’ll probably have to contend with cliques and wanting to “fit in.” To help you break the ice as a new employee, follow these tips beginning the moment you walk in the door on your first day. Even if you’re shy, don’t wait for your manager to introduce you to the rest of the team. Show that you’re a go-getter, and introduce yourself. Pay attention to your coworkers’ names as they shake your hand. It helps to repeat their name during the conversation. This initial greeting makes it easy to say hello later in the day instead of awkwardly walking past each other in the hall. Don’t hunker down in your cubicle and eat lunch alone. Take breaks where your coworkers mingle, whether that’s in the break room, an outdoor area or next to the water cooler. Even if you only drop by for five minutes to stretch your legs, it’s important to join in on workplace conversations. Your efforts will go a long way toward feeling like a part of the team. It may seem cliché, but it’s worthwhile to bring muffins, donuts, cookies or cupcakes to the break room on your first Friday. Leave a note or personally invite people to dig in as a thank you for making your first week go smoothly. Invite your department or team to get coffee, lunch or an after-work drink in your first few weeks on the job. The goal is to start cultivating relationships outside the office. This helps you get to know your coworkers personally and break the ice in a big way. The outing doesn’t need to be your treat, but it could be a nice gesture if you can afford it. Texas Training and Conference Centers in Houston is the ideal place for employers to train new hires, boost productivity among existing employees and hold team-building events. Our training and presentation rooms are comfortable, fully equipped and suitable for a variety of business needs. For more information about renting a training facility, please contact us at 832.982.1708 today. As the leader of a startup company, you should learn right away that conflict in the workplace is unavoidable. Unresolved conflict impairs productivity, stifles creativity and creates barriers between employees. It may even cause your top workers to seek employment elsewhere, costing you a substantial amount to recruit and re-train new hires. Sitting back and hoping conflict will pass you by is not the proper response. With a few useful tips, you can learn to recognize, understand and resolve workplace conflict proactively and appropriately. Conflict can result from opposing opinions, miscommunication, competitive behavior, pride, jealousy, ego, compensation discrepancies, performance issues or even someone simply having a bad day. No matter the source, unresolved disagreements result in tension, which can embed hard feelings in everyday work. Lack of information or misinformation is a common cause of conflict between departments. If you notice two teams butting heads, strive to improve interdepartmental communication. If two employees are battling it out, set up a time to meet together. Listen to both parties say what they feel the other person needs to hear. Don’t let the meeting become a time to point fingers. Focus on the problem, and let the facts, not personal feelings or agendas, help you arrive at a resolution. If one employee is creating conflict, pull that person aside and address the issue privately. Listen and learn about the person’s motivations to create conflict and make corrections as needed to improve behavior. 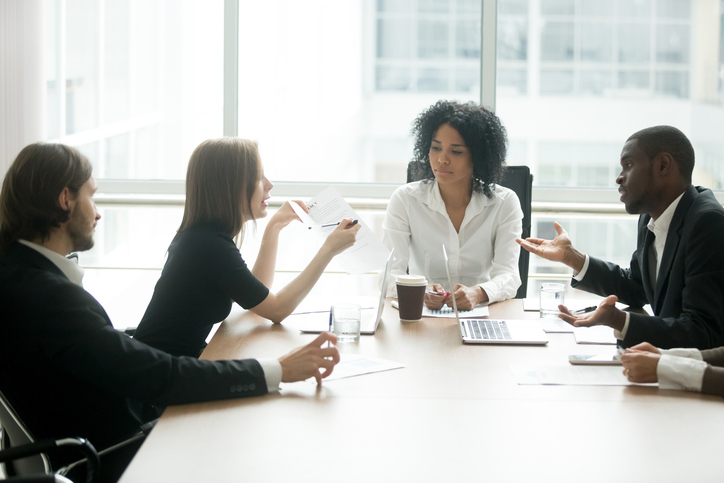 When disagreements occur, this is your chance as a company leader to leverage the conflict for team building and leadership development purposes. Addressing conflict properly stimulates learning and innovation in ways that parties in agreement can’t even imagine. That’s how conflict can become an opportunity for positive change, growth and improvement. Everyone should emerge from the experience with some positive points of agreement and ideas for progressing from here on out. Establish company values to help encourage positive behavior, ground decision-making and recruit like-minded individuals. Create detailed job descriptions so employees understand their responsibilities. Articulate a chain of command to improve communication. Make it known publicly what types of behavior will and won’t be tolerated. Treat all staff respectfully and fairly via a transparent management system. Promote cooperation, not competition, between employees with group activities and training. Texas Training and Conference Centers offers beautiful, professional training facilities in Houston. 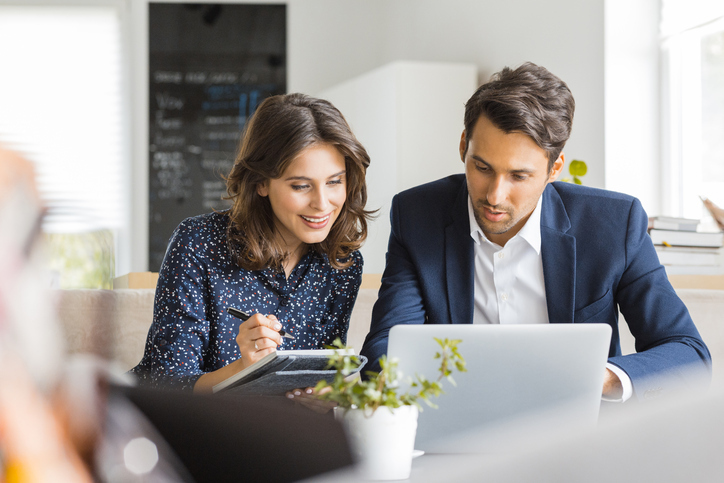 Take advantage of our offerings to train new hires, boost productivity among existing employees and resolve conflict that’s putting a damper on your business. For information about our private, fully equipped training rooms, please contact us at 832.982.1708 today. We live in a high-tech, fast-paced world, and businesses that want to stay competitive must embrace cutting-edge technology. This means keeping your team up to date on the latest technology and business practices, using every training method at your disposal to ensure that they stay at the head of the pack. 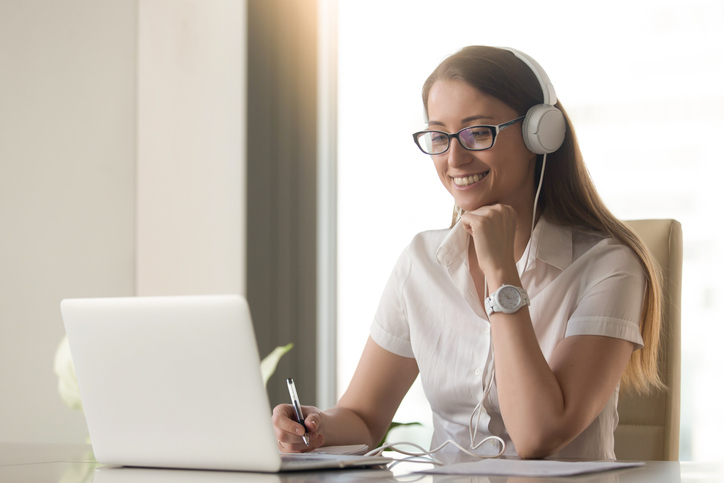 A virtual training room is an excellent tool, accommodating onsite and remote learners, all of whom can access and utilize technology that allows them to pick up new skills and receive real-time instruction and hands-on experience. How can you make the most of a virtual training room? Prepare for success. Test your equipment prior to the event, so that technical issues don’t derail you before you even get started. Assign prework, so that everyone comes to the session with an understanding of the objective, and ready to work. Create an agenda that everyone present can consult at their leisure, and put important items at the top of the agenda when energy is high and people are alert. Encourage engagement, even from remote attendees. In a virtual training session, you’re likely to have people in the room and also in other locations. Encourage people not to mute the session, and consider using webcams, so that everyone can see the other participant’s faces. Keep your presentation interesting, and text succinct. Vary your delivery, using a variety of methods to help promote the training. Remember, though, that lots of wordy text can cause people to glaze over. Stick to bullet points, especially in a situation where someone is in a different location and could easily zone out. Encourage participation, but consider the use of chat windows, which can be used without interrupting what’s being said. Take full advantage of virtual tools. Interactive features like polls, pop quizzes, breakout rooms, and whiteboarding helps keep your audience engaged while demonstrating how much they understand. Gauging their understanding should be an important focus of your session. Choose a facility that supports your goals. The location you choose should have the technology you need, in spacious, comfortable surroundings, with support on hand if you need it. Choose a place that offers rooms quiet enough for people to concentrate, and choose a facility that offers catering, so participants don’t have to leave the premises for a lunch break. When you rent a virtual training room, you gain access to all the high-tech tools you need, without having to worry about renting equipment or setting up a network. When that training room is at Texas Training and Conference Centers, you’ll enjoy not only a state-of-the art training facility, but also the support to help you succeed, even if you need tech support during your session. To learn more about the Houston training center at Texas Training and Conference Centers, call us at 832.982.1708 or contact us through our website. Organizing a training session is a big endeavor, but one that pays off in an increase in employee productivity and engagement. For your training session to be a success, you’ll need to have a plan in place, creating a schedule and cohesive focus that holds the interest of your audience while accomplishing the goals of the session. You’ll also need to choose a venue that supports these goals and supplies the tools you need to succeed. Create a loose schedule with a tight focus. Schedule your events in such a way that there’s plenty of time to accommodate delays, breaks, technical difficulties, Q & A sessions, and collaboration. Keep on track by choosing a narrow topic on which to focus, presented in a way that’s easy to comprehend and digest. Make an agenda that you can give to participants so that they know exactly what to expect. Use a variety of mediums to convey information. Plan different activities for your sessions: not just lectures, but segments that deliver information in a way that appeals to many different learning styles. Incorporate hands-on activities, use the technology at your disposal, and create hand-outs that people can reference during the session. Play to your audience, keep things light and engaging and offer audio-visual, tactile, and written resources. You might also consider varying the way participants work, sometimes grouping them to allow for collaboration. Plan for feedback, engagement, and collaboration. Training sessions are about learning new information and honing skills, but they’re also about teamwork. Leave plenty of room in the schedule to get input from your team, and schedule open time-slots specifically for open discussion. Work in time for testing, too, because knowing what they’re retaining is extremely important to the success of your training session. Consider physical needs as well as intellectual. Give participants generous breaks, to keep their energy from flagging, and don’t forget to feed them. Ideally, choose a venue with catering options, so that food doesn’t have to be your responsibility. Choose a venue that gives you the support you need. The right venue will not only have the space you require, but also the technology that will help you to succeed. Choose a place that’s professional but comfortable, and offers services you’ll need, from catering to tech support. You spent a great deal of time and energy planning and organizing your training sessions, so why leave the location to chance? 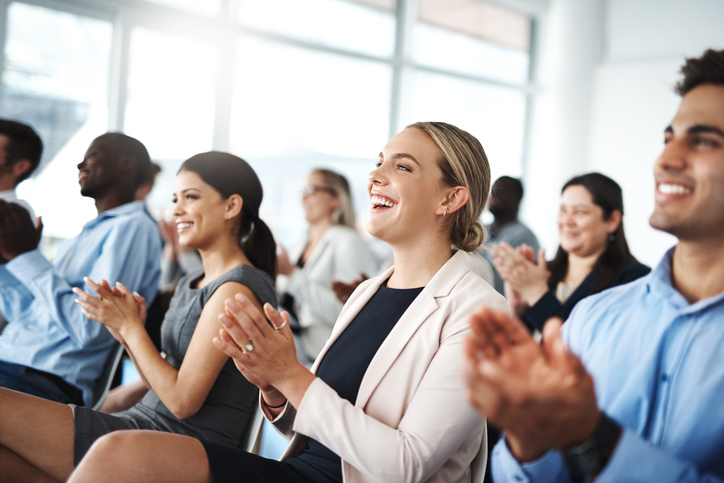 At Texas Training and Conference Centers, we’ve served well-known companies for over 18 years, providing comfortable and functional space in which to hold training sessions. Our conference rooms feature upscale décor with attention to detail, up-to-date technology, supplies, equipment and round-the-clock assistance from staff and tech support. We also provide catering services, because it’s important to us that we keep you and your team comfortable and productive. To learn more about the Houston training center at Texas Training and Conference Centers, call us at 832.982.1708 or contact us through our website. When you’re training employees, sometimes you need facilities and technology that simply aren’t available in your office. Maybe you’ve got a number of employees who are new to the company, and you need to train them all at once. It could be that updates in technology necessitate new training for existing employees, and you simply don’t have the resources onsite to train everyone at once. Whatever your needs may be, there are definite advantages to using off-site computer labs. Concentration is enhanced by a change of scenery. Taking employees out of the office and into a new environment heightens their awareness and increases their focus. If you want to make sure you’ve got their attention, take your employees somewhere they won’t be distracted by the mundane. When you only need technology temporarily, it’s cost-effective to use an off-site computer lab. An investment in technology pays off with repeated use, but if you only need a certain program or piece of equipment for training purposes or another temporary use, it doesn’t make sense to purchase it. Using an off-site computer lab is a solution with a much better return on your investment. Working off-site allows you to access technology you’re considering, without having to purchase it first. Choose a facility with the most technology, and you can get a feel for the products you’re considering, without committing to owning them. Choosing a facility with the right support in place benefits your employees. Training is more effective when you’ve got cutting-edge technology in place and support to help your employees succeed. If space is a problem in your office, working off-site may be the solution. You might need to train employees who typically share space across different shifts, and aren’t in the office at the same time. Knocking out all the training at once is the most efficient way to promote cohesive practices, upgrade skills, ensure across-the-board compliance with regulations, and improve overall understanding of new innovations. Companies with multiple branches may find an off-site computer lab the perfect place for all of their employees to meet, creating a more cohesive training session. Bringing everyone together to learn a new skill not only improves company-wide efficacy, it also boosts morale, sparks healthy competition, and promotes team bonding. At Texas Training and Conference Centers, we pride ourselves on the high-quality equipment and exceptional service you’ll find at our training facilities. Our computer labs and other spaces come equipped with internet accessibility, printers and fax machines, Wi-Fi setup, on-site tech support, full projection systems, work stations, white boards, and computers furnished with the most cutting edge technology, to ensure that your training event is a success. Sound proof rooms, continental breakfast, and optional catered lunches are just a few of the other ways we provide the little niceties that make a big difference for your event. To learn more about the computer specifications and other information about Texas Training and Conference Centers, call us at 832.982.1708 or contact us through our website. Whether it’s a convention or a product launch, team training or team building, an event to boost productivity or a soiree to express appreciation, it’s important that you find the best facility possible for your corporate event. You need a place that’s comfortable yet professional, equipped with technology but not lacking in amenities. In Houston, it makes sense to host your next corporate event with Texas Training and Conference Centers. Customer service driven for over 18 years. In our full-service conference center, equipped with the finest facilities for corporate events, we’ve spent the better part of two decades serving companies and corporations throughout Houston. Trusted by business leaders. Because we created our facility to serve businesses and corporations in our community, and we provide them with the best service in the area, our clientele has included big names like IBM, American Express, BP, ADP, HP, Chevron, and Cisco. We feel honored to have been chosen to serve these companies, and we strive to continue to provide every customer with the level of service that earned us that opportunity. Facilities for private and public events. Our suites are designed to accommodate groups of up to 40 people, and these rooms are soundproofed for privacy, making them the ideal place for private training groups. Beautifully appointed, they not only have all the most up-to-date technology, but also elegant touches like crown molding, making them the nicest in the area. Our conference rooms are fully equipped with all the services and supplies you need to make sure your event goes smoothly. No matter how small or large your gathering, the staff at our Houston conference center will make you feel right at home. Latest technology. We take pride in placing innovative technology into the hands of the businesses we serve. 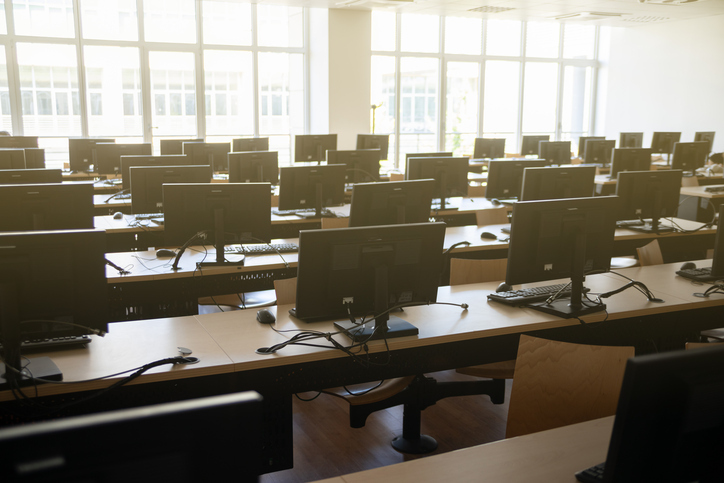 We provide computer labs for training classes, as well as other cutting-edge features like LCD projection systems, professional multimedia sound systems, whiteboards, and more. Our state-of-the-art virtual training rooms give companies flexible, low cost, time-saving training options. Exquisite attention to detail. Our friendly staff is always standing by to assist with anything you might need. From refreshments to tech support, we take care of your group, even providing catering upon request. Our goal is to meet your needs, exceed your expectations, and make sure you’re comfortable. 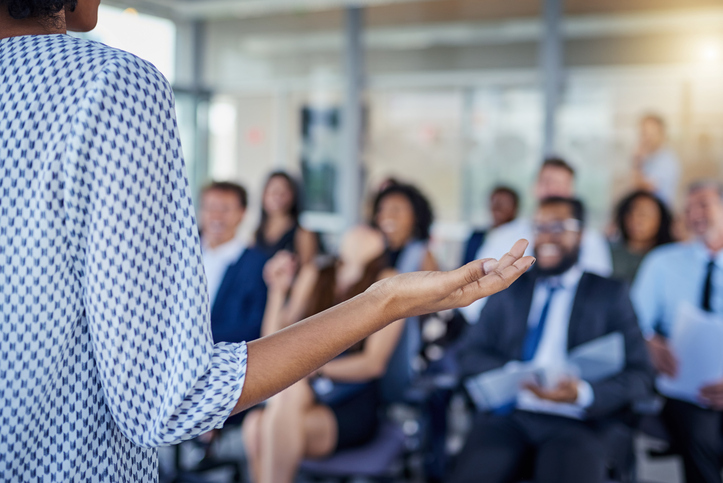 When you need an outsourced meeting facility, Texas Training, and Conference Centers has everything you need to conduct effective training sessions and conferences, in an environment that’s comfortable and effectual. To learn more about Texas Training and Conference Centers, call us at 832.982.1708 or contact us through our website. Leading a successful business training session is largely a matter of having the right plan. When you create and stick to the right agenda, you can effectively impact your employees, honing their skills and imparting the knowledge they need to succeed. To come up with your agenda, you need to ask yourself a few key questions. What are the goals of this session? Think about what your business needs, and what problems you’re trying to solve. 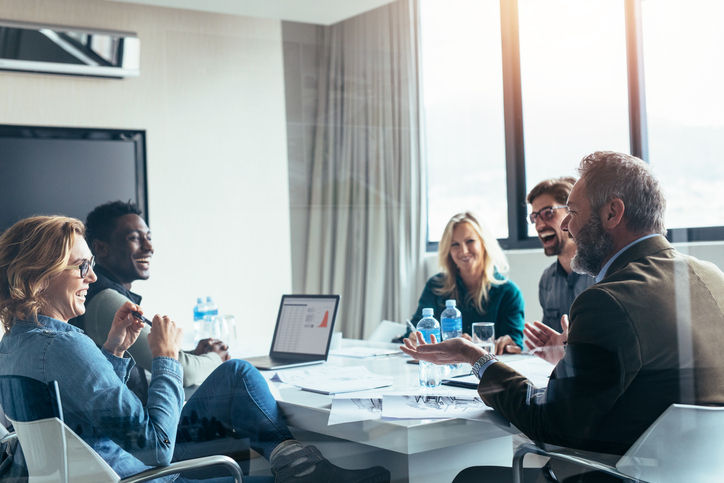 Make these goals clear before the meeting, providing participants with “pre-work” that invites them to provide solutions, suggestions, and examples ahead of time so that they can be incorporated into the agenda. Send the agenda out to the participants ahead of time so that everyone can be on the same page before you get started. Which topics need to be on the agenda, in order to promote these goals? Creating the agenda, of course, requires careful thought. Be specific about what you’re trying to determine or achieve, for purposes of clarity in the interest of successful collaboration. What are you trying to teach, and what skills are you attempting to enhance. Make sure your objectives are clearly stated, and that the purpose of each item on the agenda is well-explained. Take into account how long you will need to spend on each topic. How can learning be best facilitated for those in the session? Different people on your team will have different strengths, different skills, and different learning styles. Taking these factors into consideration can help you strengthen your training session in many ways. Create a presentation that incorporates opportunities for people to not only listen, but also watch, interact, and contribute. Some of the most valuable learning opportunities come from the interaction between employees, who can use their different strengths and talents to help each other improve. What’s the best way to keep this session on track? Make sure you begin and end on time, because sticking to your schedule is important when you’re trying to promote cooperation within your team. Respect the time of others, and they’ll be more receptive to what you’re trying to communicate. Have a plan to deal with delays caused by other people: build extra time into your Q&A sessions, and create a “parking lot” of issues to be discussed at a later date. If someone has questions or issues that can’t be resolved in a timely manner, make an appointment for a one on one meeting later. How can the success of this session be quantified? Be clear at the beginning of the session about the expected outcome and your expectations of those in training. Follow up with self-assessment questionnaires, skill assessments, post-training quizzes, informal feedback from supervisors, and on the job observation. Some benefits of training, like a boost in job satisfaction and morale, can’t be measured. However, if you can pinpoint the skills you are trying to improve, you should be able to evaluate whether your training was successful in order to decide whether you need to find a different approach. Once you’ve developed an agenda and planned a successful business training session, you’ll have to find the right place to hold your meetings. At Texas Training and Conference Centers, we provide spacious, comfortable rooms, cutting-edge technology, and exceptional support to help ensure the efficacy of your corporate meeting. To learn more about the Houston training center at Texas Training and Conference Centers, call us at 832.982.1708 or contact us through our website. Team training is an important asset of corporate culture that, by some accounts, can increase productivity by as much as 20 percent. That’s significant, and it makes it all the more vital for management to be prepared when it’s time for training. Before you head off to lead another team training session, it’s wise to make a plan, being mindful of this checklist. Set measurable goals. Think about the needs of your company, and the problems you’re trying to solve. Think about how you’ll determine whether you’ve reached your goals, and make sure that your objectives are quantifiable. Determine which skills you intend to improve. Team training isn’t an opportunity to impart knowledge so much as to hone skills. Think about the skills most necessary to your business, and find ways to help your employees refine the skills they already have. Create an agenda. Design for yourself an outline of your main talking points, any visual aids you plan to use, and when you may need technical support. For attendees of your team training event, create a detailed agenda, explaining your objectives, clarifying your vision, and specifying events, discussions, and activities, being clear about how much time is allotted for each. Pick the right location. The location you choose for your event is crucial. You want a space that will accommodate the right number of people, but beyond that, you want your team to be able to focus, as well as having access to necessary technology. Secure expert assistance. Subject matter experts are at the heart of every successful training event, and once you identify those people, you can share that information with your team. You’ll also need to ensure that tech support is readily available, in case you need that kind of assistance. Organize necessary materials. People learn differently, so keep that in mind as you choose your aspects of your presentations. Think of ways to provide people with the tools they need to succeed, whether they learn from watching, listening, writing things down, or interacting. Utilize efficient technology. Keep your presentations engaging by using up-to-date technology to share information. It doesn’t have to be elaborate, but finding interactive ways to use technology is a good way to promote successful learning. Plan for collaboration. Input from your team is vital, because taking everyone’s opinions into account is what makes teamwork effective. What’s more, statistics show that twice as much workplace learning comes from employee interaction as opposed to formal training. Allow plenty of time to collect feedback and input, for a successful event. Develop a follow-up plan. In addition to offering opportunities for feedback during the event, have a plan in place to gather information after the training session concludes. A questionnaire can be a useful way for each employee to feel included in the process. Having the right plan for your team training is important, and so is choosing the right place. At Texas Training and Conference Centers, we’ve turned employee training into an art, offering our clients in Houston facilities suitable for both public and private gatherings, with the most sophisticated technology to make it easy to conduct highly successful team training. To learn more about the Houston training center at Texas Training and Conference Centers, call us at 832.982.1708 or contact us through our website. Why is formal employee training important? Because it’s an investment in the future of your company. When you provide your employees with formal training, you don’t just help them to gain new skills. You also boost their existing skills, improve their confidence, and build their overall efficiency. Formal employee training makes your company more successful by accomplishing several objectives at once. Training your employees increases the effectiveness of your work force. Your goal should be to have a work force that’s continually improving, with employees who are invested in becoming leaders on your team. Training allows employees to improve their existing skills and diversify, learning new skills that will allow them to play additional roles to benefit your business. Formal employee training benefits both your company and your employees. Keeping up with new standards, practices, and technology requires continual training, but if you’re diligent, that training can give your company the competitive edge. Well-trained employees are engaged employees, and that also decreases your rate of attrition. What’s more, when employees feel that the company cares enough to invest in them, it improves morale. When your employees are enthusiastic about their training, it generates interest from potential new-hires. 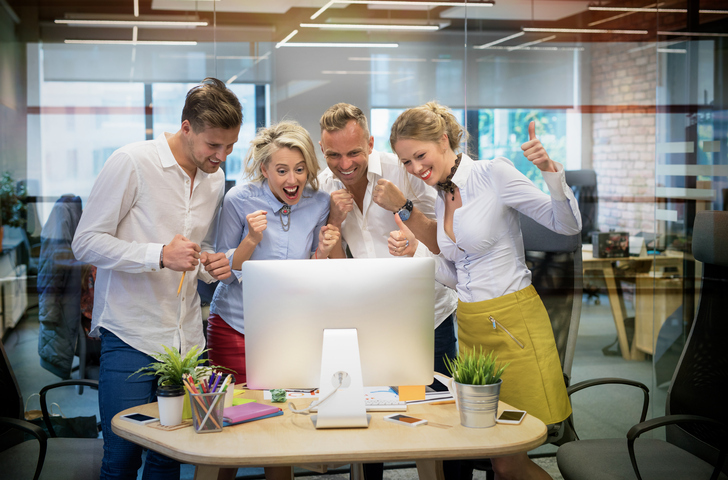 Properly trained employees who enjoy their work will be a draw for others seeking work, and well-trained employees are better able to pass skills along to new hires. The overall result is a better-trained workforce, with more people ready to step into leadership roles when needed. Proper training promotes cohesion in your practices. Having everyone on the same page is important when it comes to instituting best practices for your business. Training also keeps employees up to date on compliance issues, which means your business is able to operate more smoothly and more successfully. Training employees provides a substantial return on your investment. The money you spend training workers pays off in profits that can rise twice as fast as profits of companies that don’t invest in training their employees. Be mindful of the kind of training you offer, always focusing on the goals you want to accomplish and the objectives with the most quantifiable results for your business. The most effective employee training takes place in a facility designed for that purpose, with the latest technology and comfortable, well-appointed meeting spaces. At Texas Training and Conference Centers, we offer that and so much more. Elevating employee training to an art form, we provide facilities suitable for both private and public gatherings, along with the most sophisticated technology available, to make your training sessions a breeze. To learn more about the Houston training center at Texas Training and Conference Centers, call us at 832.982.1708 or contact us through our website. Innovation drives business, so as your business grows and thrives, new products will come into play. Whenever there’s a new product to launch, you’ll have to introduce it to your colleagues before you take it to the public. Using a few best practices, you can promote the success of your launch, while keeping your colleagues engaged and interested. Make sure the innovation is relevant. Sometimes, companies make the mistake of coming up with something that doesn’t fill a preexisting need. Innovation for the sake of innovation is typically unsuccessful, so look for a problem that needs to be solved or a need that must be met, and create something to fill a void, rather than trying to create a market for something after the fact. Be prepared with a promotional strategy that will grow your customer base and engage on social media. Before you introduce your new product to your colleagues, have a plan in place for introducing it to your customer base. Help others to see your vision by showing them how you will promote it. Ideally, you want to strike the right balance of traditional and social media marketing, so that each medium drives customers toward the other, and your return on investment comes from both directions. Maintain engagement by keeping presentations brief. Think of it as a performance: start with something that will grab your audience’s attention, and find ways to hold that attention throughout your presentation. Get to the point quickly, and try not to let the presentation lag. Plan for interaction, and find ways to actively involve your colleagues in the process. Welcome feedback. Don’t cling so tightly to your vision that you miss the opportunity to incorporate the ideas of others. Collaboration can be the key to success, and you’ll gain more support from your colleagues if you demonstrate to them that their ideas are valuable and their input is encouraged. Don’t wait for colleagues to volunteer information: plan part of your presentation around soliciting feedback to ensure that you have an understanding of your colleagues’ thoughts and ideas. Whether you’re launching a new product, providing employee training, hosting a convention, or holding a board meeting, you’ll find the facilities you need at Texas Training and Conference Centers. We’ve got spaces designed to accommodate public and private events and groups of any size, and all the latest technology to make your rollout or training class easy and effective. To learn more about the Texas Training and Conference Centers, call us at 832.982.1708 or contact us through our website. Houston Training Center & Conference Room Rentals. Texas Training and Conference Centers. © 2018 All Rights Reserved.